Is your business ready for the continued growth of SMM? 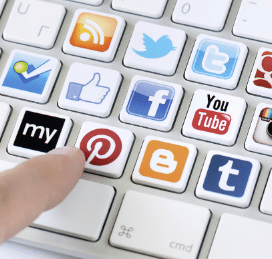 Do you understand the importance of Social Media Strategy? Would you like to verse yourself with what is next in marketing? Here ya go. This article by DreamGrow will get you ready for the rest of 2018 and beyond. Social media marketing 2018 is going to be huge for businesses, brands, individuals, and marketers. 71% of small business owners plan to use social media content to acquire customers. Facebook is overwhelmingly the platform of choice for many. This is according to a survey conducted by Infusionsoft, highlighting the top social media marketing trends businesses should pay attention to in 2018. So, what should you be paying more attention to? According to a study by Goldman Sachs, Gen Zers, whose starting birth years is the mid-1990s to mid-2000s, according to many researchers, will represent $44 billion in annual purchasing power in the US alone. Compared to millennials, the demographic preceding Gen Z, the post-millennials will be more valuable to organizations. From a young age, Gen Zers have used, and are comfortable with the internet, technology, and social media. They, like most people, spend a lot of their social media time on smartphones. They have a unique relationship with social media. They spend hours a day using their devices and from 2015 composed the largest portion of the US population. They like to use the internet to get information and interact with others. This generation also has an amazing buying potential according to the study. They have short attention spans (of 8 seconds) and like video content best.